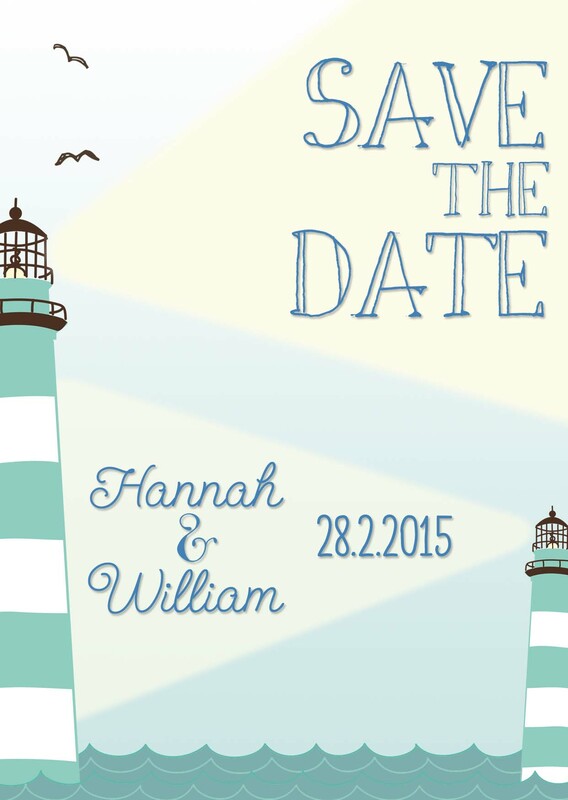 The collection has a cute retro feel with lighthouses, anchors and bunting details, and we’re in love with the pretty teal colour scheme. 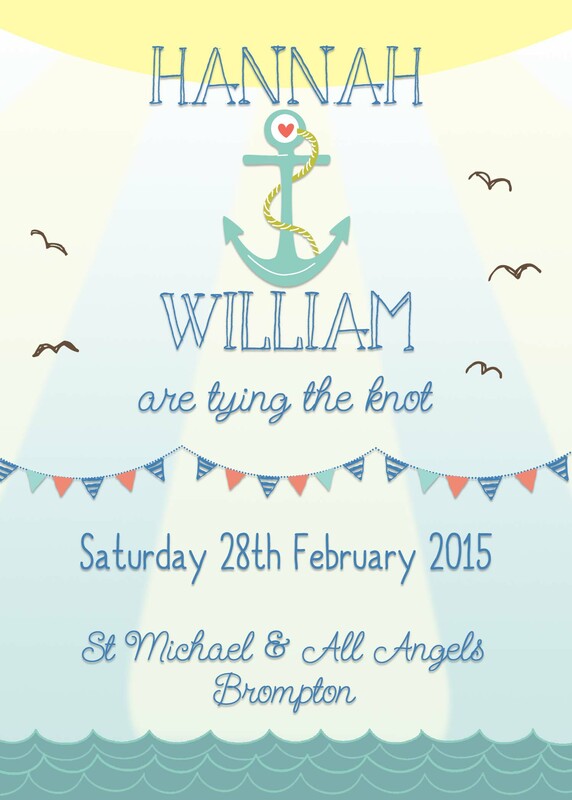 We’d be using it to invite guests to a cute coastal wedding in Cornwall, complete with beachy theme. 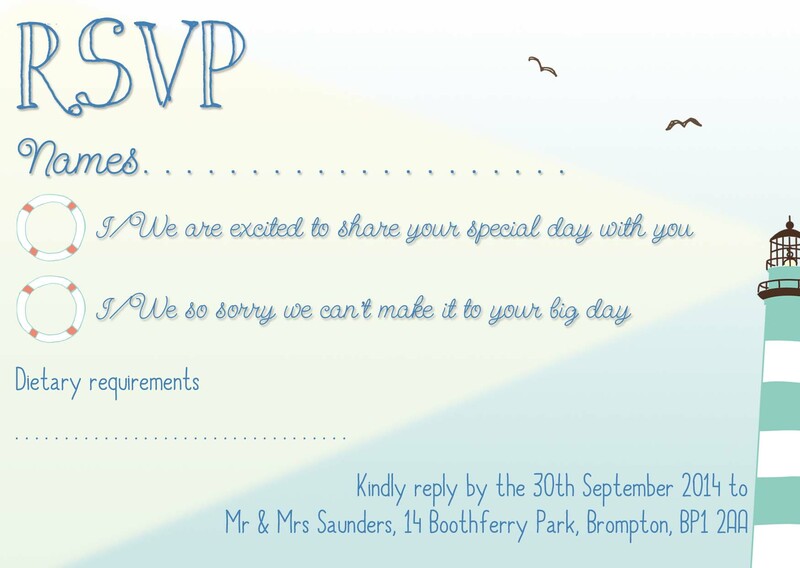 Invites cost from £2.25 each, while RSVP cards cost from £1 each. 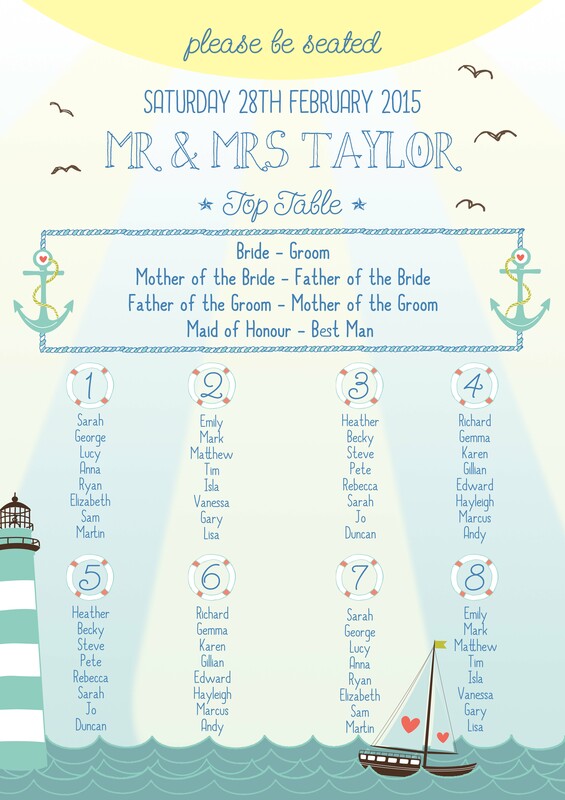 The wedding day details are just as cute, too – we love the personalised lighthouse menu (from £1.50 each). Why not pop the table plan (from £55) on an easel decorated with driftwood details and pretty shells to complete the look? See the full collection at www.swoonatthemoon.co.uk.